Metric Motors technicians are certified by the National Institute for Automotive Service Excellence (ASE). ASE certification means that a tech has passed tough, industry developed testing. ‘The Blue Seal of Excellence’ is a recognition program for establishments striving to be the best and to stand out from the crowd. Receiving this accreditation from ASE reflects our commitment to customer service and quality car repair. Loveland Reporter-Herald Readers’ Choice 5 years in a row: 2012, 2013, 2014, 2015, & 2016! 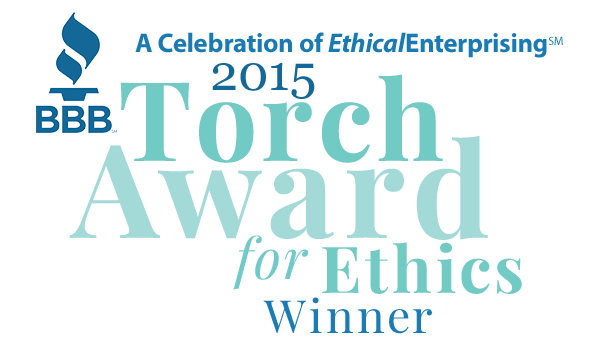 2015 Recipient, Better Business Bureau Serving Northern Colorado and Wyoming, Torch Award for Ethics.